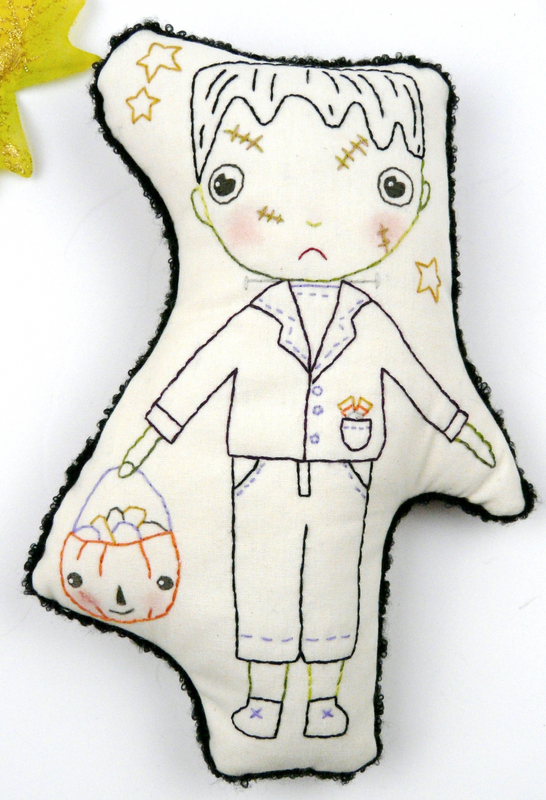 Stitch up the grumpiest Monster... perfect for your Halloween decor or for your kids to play with. 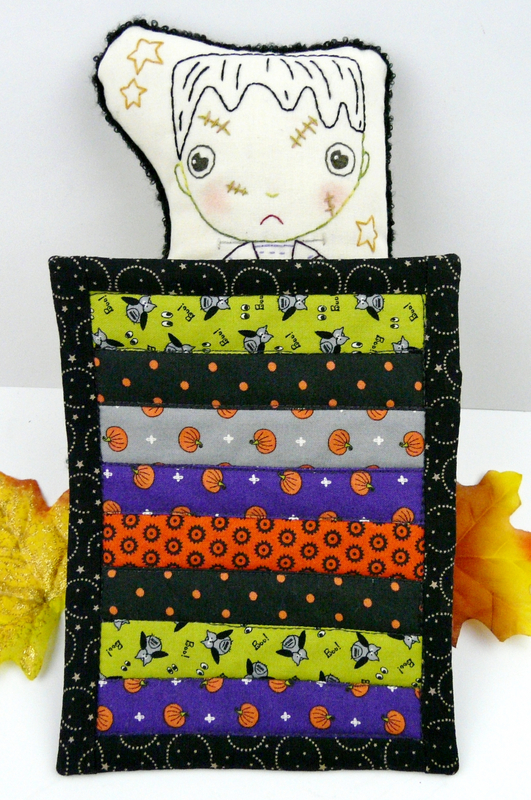 He is carrying his treat container and has his own mini quilt. 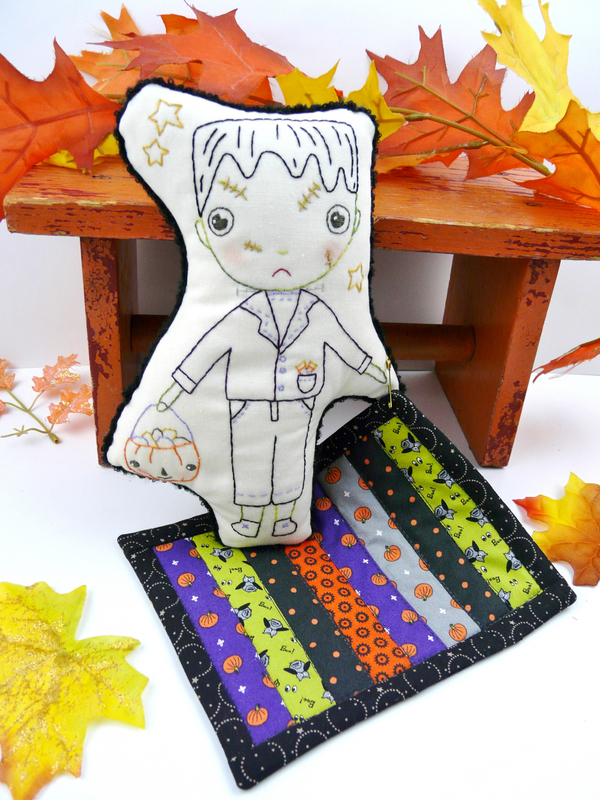 This is the 3rd of a series of Halloween dolls... embroider up the whole collection! You can always change his frown upside down for a smile! 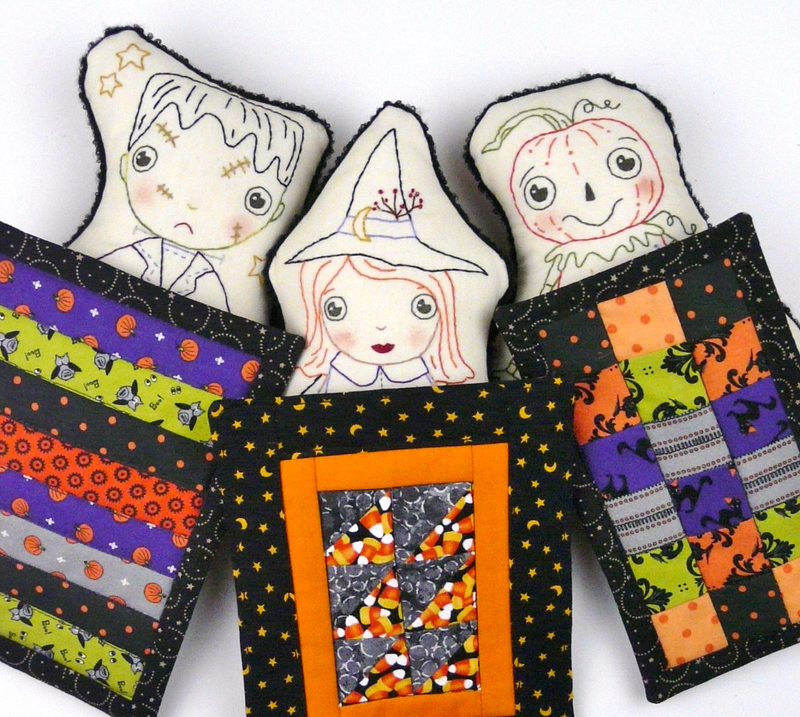 Finished Embroidery doll measures: 5 1/2" x 8 1/4"
Mini Quilt measures: 5 1/2" x 7"
There are 5 different dolls in the Halloween collection, this is for the Frankenstein doll and his mini quilt.